Quit Your Job And Move To Key West! Is this a great ad campaign or is it a marketing ploy? It’s neither! Sometimes you see something unexpected and instantly smile or snicker… this one did both! 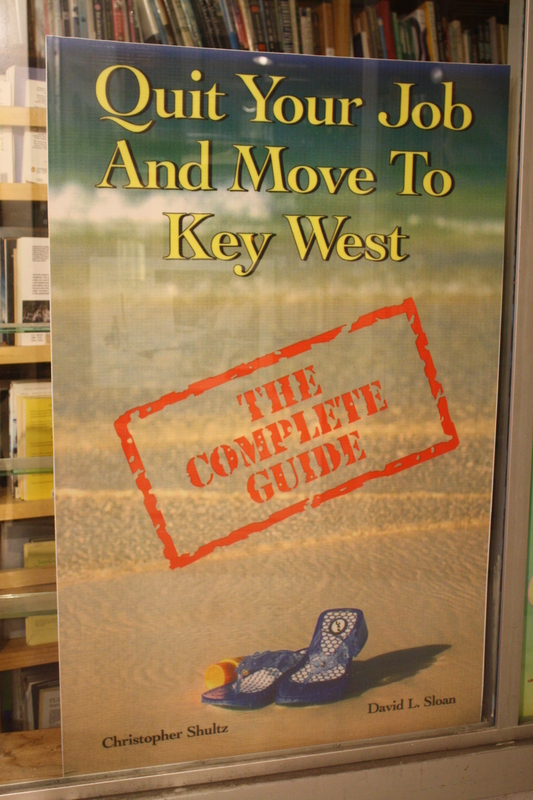 “Quit Your Job And Move To Key West, The Complete Guide” although it’s a book that I’ve never read or intend to read it struck me as an awesome title for a blog whose time has come. As a child I lived in Key West with my parents on White Street and other locations throughout Key West and have always wanted to retire here. Those dreams of retiring seem to fade each year as the price of real estate increases annually already reaching the absurd. Simultaneously as land prices soar, its wages per person has been going down due to higher paying jobs driven out of town to locations further up the Keys. Key West is rapidly becoming a tourist driven economy with low paying service oriented jobs like shop clerks, waiters, & hotel staff. This as you know is a place that I love so dearly and still hope that somehow, someway that dream will materialize into fruition. After all, they do say that dreams sometime come true!